I'm not into cleansers that are unscented, which is why I love this lightly scented one from Avène. You may have seen them invite me to their event awhile back. This is one of the products they sent us home with. 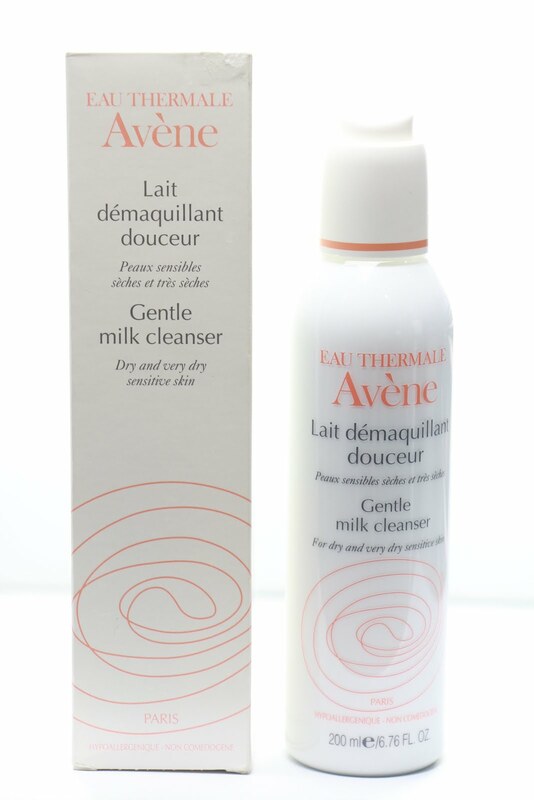 This is meant to be a gentle milk cleanser for dry and very sensitive skin. 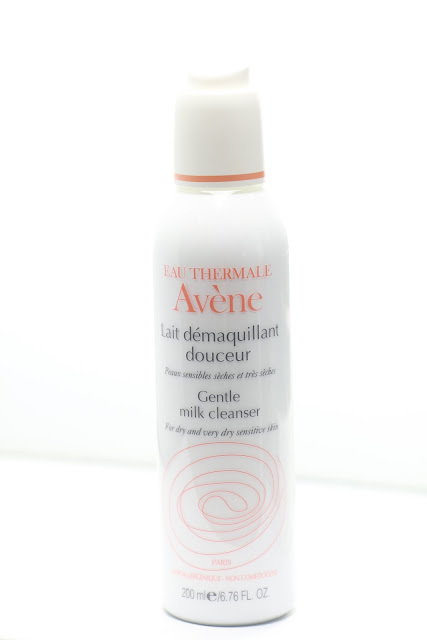 Just like any other product of the brand, this one is rich in Avène spring water. This is the indication on the box. It's formulated with mild substances to remove makeup from face, eyes, and lips, while keeping the skin soft and supple. 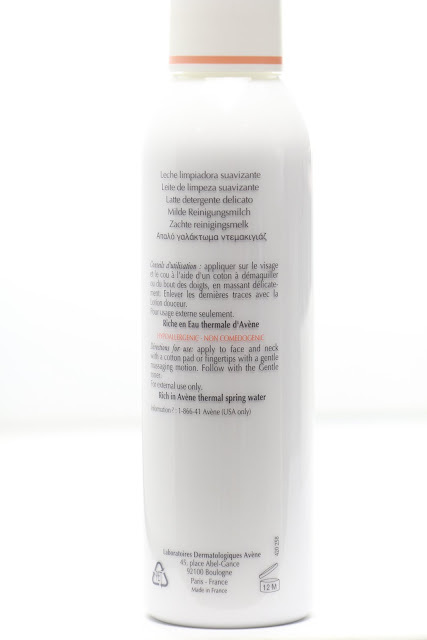 It also acts by releasing all the spring water's soothing and anti-irritant properties. 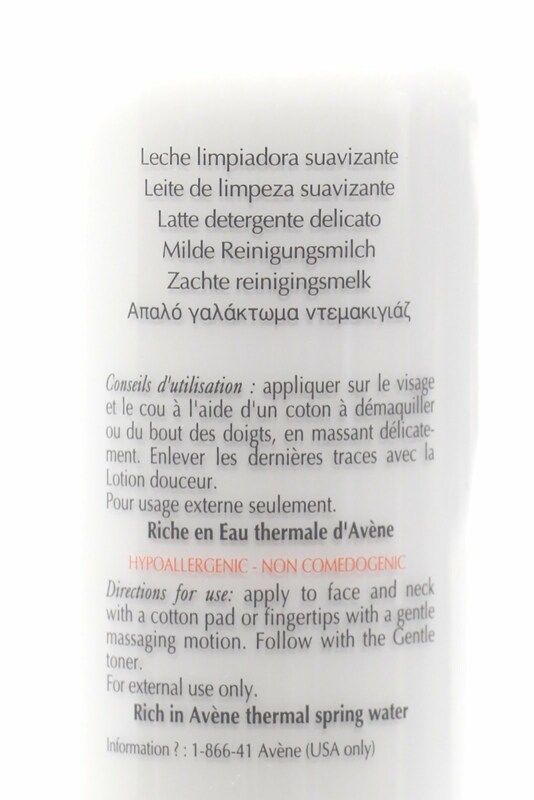 The directions indicates to use this product then wipe the excess off using toner. But I personally use this and then use facial wash. So here's an explanation for those who have no idea what Avène is all about. 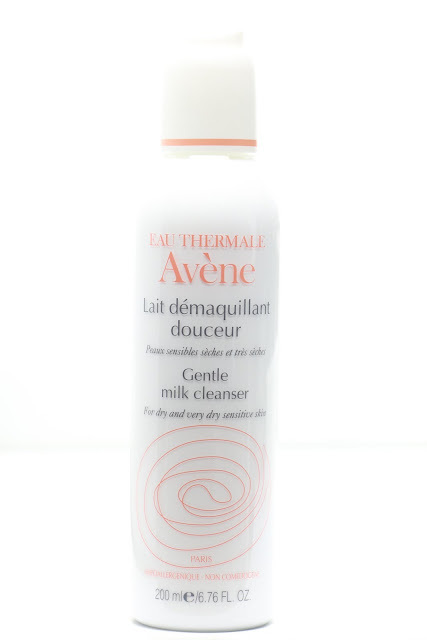 It's basically a special thermal spring water that comes from Avène in France. It is still not scientifically proven as to how the water is able to cure psoriasis and similar skin conditions, but it just does. This is why they have an Avène Dermatological Hydrotherapy center, which is basically like Ace Water Spa but the water that comes off of every single vessel is special Avène water. The brand views itself as a dermo-cosmetic brand-- it's not simply makeup, because it goes beyond that. But well for the really curious folks, they are looking at two possible angles behind the water's miracles. One is that the minerals in the water is in the right microcrystalline size that it's easily absorbed by the skin. They also have some theories that the water picks up archaeological good bacteria from the top of the mountains that enrich the mineral and enzyme content of the water, and then the bacteria gets sterilized off once the water passes through the thermal chambers. And, here is the list of the ingredients. This bottle is 200mL. 200mL may sound small, but it's a whole lot. You can use this for 3-4 months everyday and still not use up the whole thing. This is the product itself. It's got a super mild floral scent, and it's basically like a facial emulsion. And when you massage it it's basically an emollient cream. It removes makeup while nourishing the skin at the same time. It's very thick and gentle, which is why I'm so happy when I use this product. It doesn't clean as well as micelle water, but at least it doesn't strip the moisture off my skin.